MTE offers an array of harmonic mitigation solutions, including the best THID reduction solution on the market with patented Adaptive Passive Technology, to increase productivity and system efficiency. What is the Matrix ONE Harmonic Filter? MTE’s Matrix ONE harmonic filter helps mitigate harmful harmonics in single phase applications. It is designed to primarily address the third harmonic or 180 Hz distortion. Is the Matrix ONE UL listed?  The Matrix ONE Harmonic Filter, like all MTE filters, are UL, cUL listed. What is the warranty for the Matrix ONE Harmonic Filter? MTE warrants the Matrix ONE Harmonic Filter for a period of three years from the date of shipment. What voltages and current are available? 240 volts covering 17 to 620 amps, and 480 volts covering 8 to 310 amps, covering a horsepower span of 3HP to 150HP. Can the Matrix ONE be paralleled? Yes, it can be paralleled (like sizes only) for higher amp ratings. Add the current of the parallel units and de-rate 10%. How do I size the filter? The filter should be sized to support the input power or amps required for the load. When a three phase drive is used to convert single phase to three phase power and run a three phase motor, the drive size is normally increased by two to three times the normal horsepower rating. A general rule then is to take the three phase motor current times square root of three (1.73). If the drive input current rating is used to size the filter, it may end up too large and performance will suffer. If the exact sizing is not available, select the next largest sizing. What types of enclosures can I get with the filter? The Matrix ONE is available in two types of enclosures. NEMA 1/2 (example: MSG0019D) and NEMA 3R (example: MSW0019D). What is the typical harmonic distortion (%THID) I will see when using a Matrix ONE? Assuming normal source impedance of at least 1% and no background distortion, the Matrix One will bring the distortion down to about 12% or less. What is the efficiency of the Matrix ONE Harmonic Filter? The Matrix ONE Harmonic Filter’s standalone efficiency exceeds 98% throughout the load range. Is it possible to use a Matrix ONE Harmonic Filter on three phase power? No, the Matrix ONE is specifically design for only single phase applications. Is it possible to use a Matrix ONE Harmonic Filter on the neutral to suppress third harmonics for a three phase transformer? No, the Matrix ONE is not design for a neutral connection, also NEC does not allow for a filter to be connected in the neutral ground connection of a transformer. What is the maximum ambient temperature for the Matrix ONE Harmonic Filters? Open panel rating is 50C and standard enclosed filters are 40C.